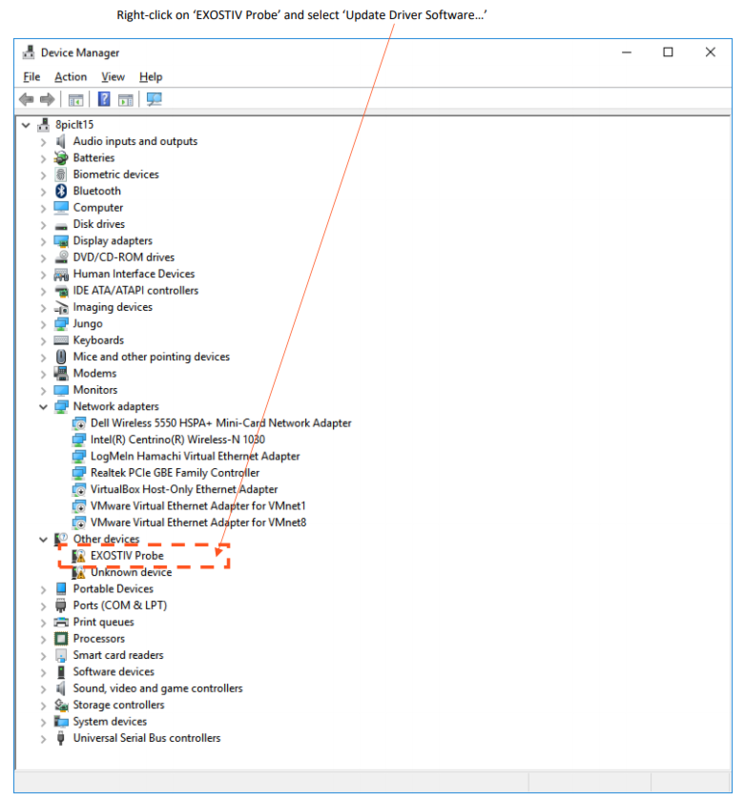 When plugging EXOSTIV Probe to your PC for the first time (and powering it up), Windows might search for a driver automatically. Actually, you have to install the EXOSTIV Probe driver manually (please make sure that you have the permissions to do so) – and point to the driver files installed together with your software. 1) Connect the EXOSTIV Probe to the PC with the USB cable and power it on. 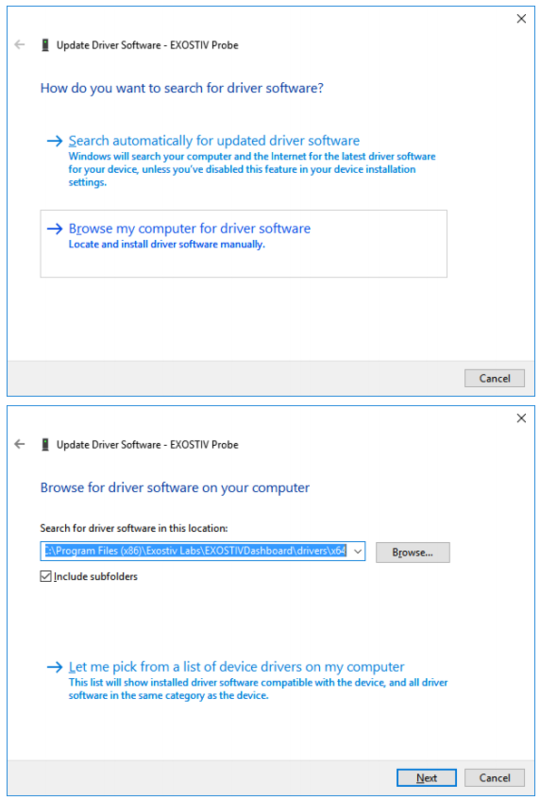 2) If you are not automatically prompted to install a driver, start Windows’ Device Manager and locate the EXOSTIV Probe in the list. 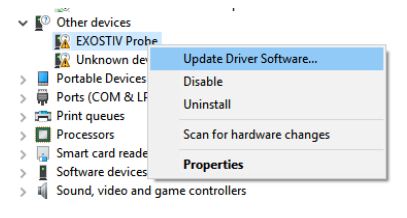 Right click on ‘EXOSTIV Probe’ and select ‘Update Driver Software…’ (see below). Alternative source: EXOSTIV Dashboard User’s Guide at page 47.